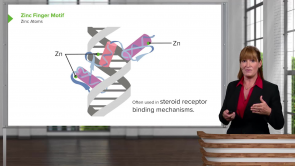 Genomics – Online Medical Course | Start now with Lecturio! Get help from an expert! Where do you begin when preparing for the USMLE Step 1? More importantly, what information is relevant to the exam? Finding the answers to these questions can be a difficult challenge. However, there is some good news - there is a place you can go to help you navigate the difficult challenge of preparing for the USMLE Step 1, Lecturio. Lecturio can help. Lecturio is your one stop to acquiring everything you need for the USMLE Step 1. Especially when it comes to the topic of genomics. Review genomics with Dr. Georgina Cornwall, Professor of Biology at Colorado Mountain College. Have access to high-yield, self-paced lectures, supported by interactive quizzes, topic reviews and clinical pearls. You don't have to prepare for the USMLE Step 1 alone. Let an expert help you. Let Lecturio help you. Genomics is the study of what the genome does. 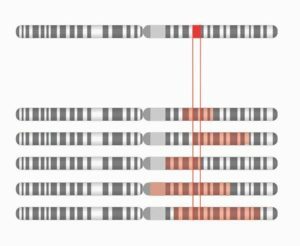 In this article, we include the topics of distinguishing between genetic and physical maps, describing the process of DNA sequencing and characterizing two different methods for sequencing genomes— the clone-by-clone vs. shotgun sequencing. Genomics is the study of the genetic material of organisms. It includes the study of methods for knowing the location and sequence of genes. Alternative splicing is a method for gene expression that results in the formation of multiple proteins from a single gene. DNA sequence may include coding and non-coding sequence. 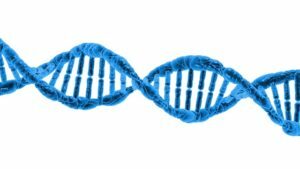 BRCA2 gene is an important gene that codes for a protein which helps maintain genetic information by DNA repair. She talks too fast. Additionally, she reads from her notes too much, strikes me as someone who does not have a firm grasp on what she is teaching. I liked that she really knows what she is talking about and is able to explain complicated things with examples from everyday life.